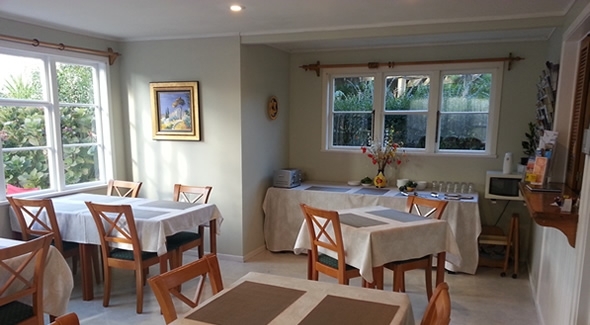 The Bavaria Bed and Breakfast is a small, charming hotel, seven minutes drive from central Auckland. 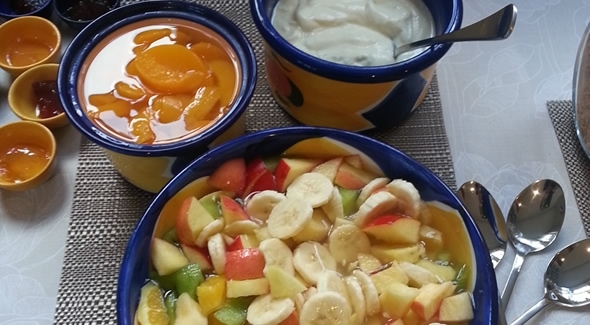 It offers genuine Kiwi hospitality and has a wonderful, warm and inviting atmosphere. 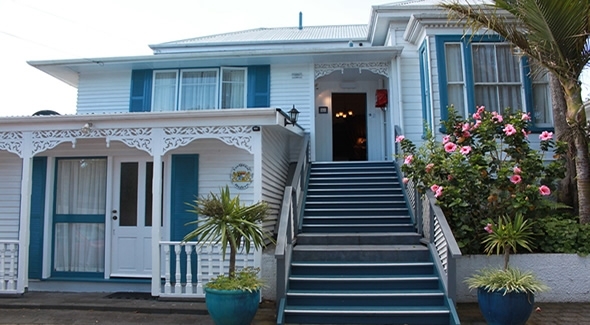 Situated on the western side of an extinct volcano and nestled in the very heart of Mt Eden, (one of Auckland's more picturesque and historic suburbs), it is the ideal place to be away from the hustle and bustle of the city yet near enough to visit. With only 11 guest rooms, we offer quality B&B accommodation, en-suites in each room, free wireless access, 8 car parks and a copious breakfast. 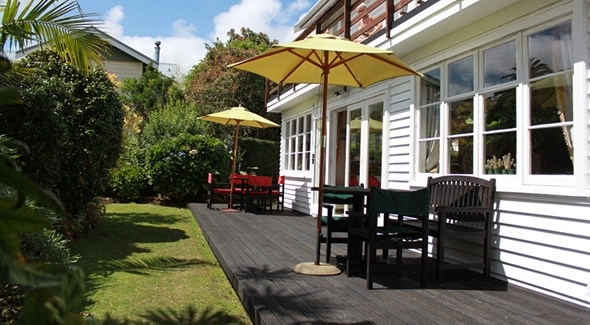 The large, sunny guest lounge of our hotel leads onto a private deck and to a small exotic garden where you can linger with a book and coffee or just bask in the sun (because the sun always shines in Auckland!). Most evenings and over breakfast, guests chat to each other, share travel tales and a drink and in some cases become firm friends. There is often a tear shed when goodbyes are said. 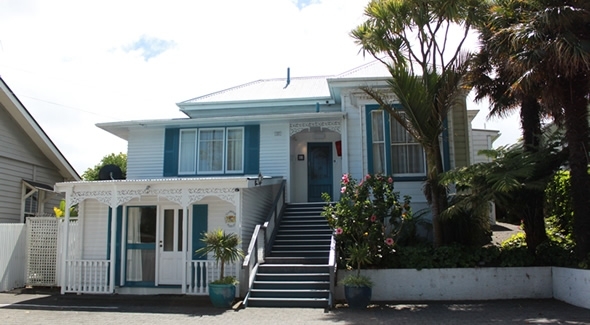 The 100-year-old kauri villa was converted to a Bed & Breakfast in 1990. It was originally run for 25 years by Ulrike and Rudi from Germany, hence the name 'Bavaria'. The new owners, Patrick and Barbara, have travelled extensively and speak English and Mandarin. 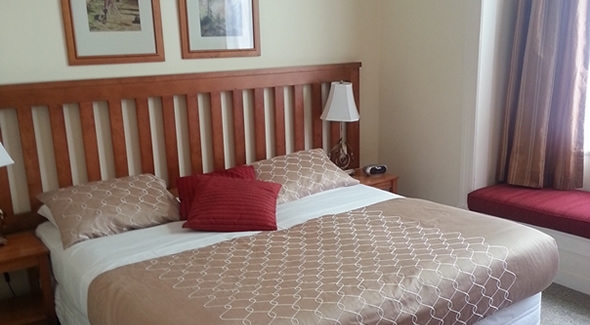 All staff are happy to assist you in making plans to explore Auckland and its surrounding highlights and to make your stay as fun (Number 1 goal) and informative as possible. We look forward to having you stay. Languages spoken: Mandarin, English, German and French.